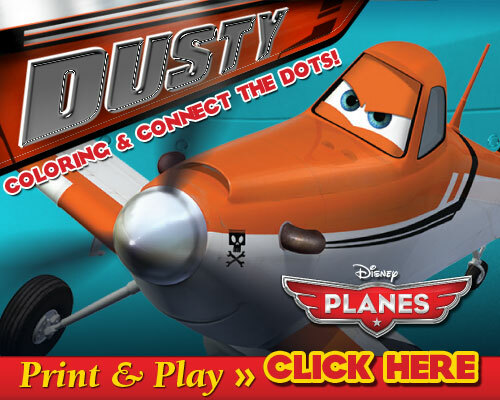 We have only a little over two months left to wait until Disney PLANES gets released! With my families obsession of CARS and now watching and re-watching the preview for PLANES I plan on taking all three of my kiddos to see this the day it comes out. In the meantime Disney has some great printouts for you and your kiddos to color. Just click the photo below and it will bring you right to them. Guess what, I have a new sneak peek trailer for you all for Disneys newest movie set to release on August 9th. My youngest and I have already watched this three times and I am sure we will watch it at least another three times in the next hour. Enjoy! Don’t forget you can keep up to date on all recent Disney PLANES news on Facebook and Twitter.